Built in the seventeenth century, the Sussex farmhouse Charleston was home from 1916 until 1978 to two of the most influential artists of Bloomsbury group—Vanessa Bell and Duncan Grant. And during their residence, Bell and Grant opened the doors of Charleston as a country retreat for many members of the group, including Bell’s sister Virginia Woolf and her husband Leonard, the economist John Maynard Keynes, the art critics Roger Fry and Clive Bell, and the biographer Lytton Strachey. Charleston is a house unlike any other, with many a story to tell. After Duncan Grant died in 1978, Charleston’s fate remained unclear for several years with its contents remaining undisturbed and unaltered from their Bloomsbury days. During this time, while funds were being sought for the house’s restoration, Kim Marsland made two visits to take notes and photographs. Her unique record of Charleston, gathered here in this marvelous book, shows the house just as Grant left it—cluttered with years of painting, collecting, and literary life. The previously unpublished photographs gathered here showcase the unique atmosphere of a house full of memories and artistic importance. They also show Charleston before its restoration, allowing the reader a peek into a lost past. Fully restored, the farmhouse is now a hugely popular destination for visitors and hosts an annual literary festival. Charleston Farmhouse offers a beautiful and rare glimpse into the real world of the Bloomsbury group. 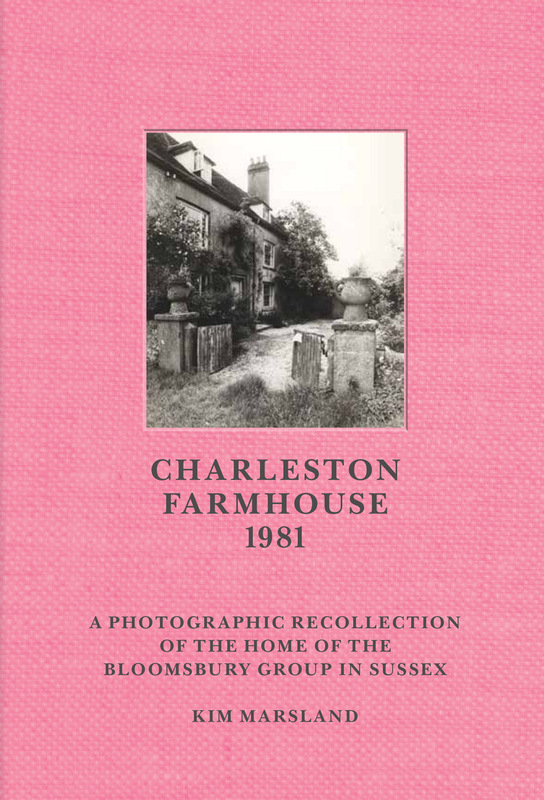 "This is a beautiful little book of photographs taken by Kim Marsland at Charleston Farmhouse in 1981. The Bloomsbury Group had left and the Charleston Trust were yet to take over; it was a house in flux, a time capsule captured in these evocative pictures...Kim Marsland’s photographs recall an intimate time before Charleston’s domestic decorations became an internationally recognised style." "After Duncan Grant died in 1978, Charleston Farmhouse in Sussex lost the last of its original Bloomsbury Group residents. With its fate unclear, the house and contents remained undisturbed for many years. In May 1981, Marsland (then an art student) made a visit to take notes and photographs for an essay on the Bloomsbury Group. Her unique record of Charleston shows the house just as Grant left it cluttered with years of painting, collecting and family life."